In a previous post, I wrote 20 business ideas you can start as a housewife or mom (click here to check it out). In this post, I would be writing the remaining business ideas. When you are already taking care of your own wee ones, it makes sense to look for ideas that allow you to take advantage of the way you’re already spending your time. Day care can seem like a natural extension. You may have dreamed of owning your own store when you were younger, only to find out later how difficult it is to actually run a brick and mortar store these days. The good news is, you can sell just about anything online. There are plenty of ecommerce solutions online for you to sell your wares. The trick for selling products online is to make sure to specialize in a certain industry, for instance – secondhand clothing, discounted brand names, vintage finds, housewares, books, geek-related products, art, etc. The options are virtually endless. Are you very good with make-up application? Do you have a good knowledge about cosmetics? You can provide online makeup tutoring services to people or sell cosmetics online for a profit. This is one business you cannot go wrong with. A lot of fashion lovers barely have time to go around shopping and would rather sit in front of their computers and admire as many clothes as possible before settling for the best ones. Online clothing business is getting more popular and this is one business that you would enjoy doing if you are fashion conscious and you have a little capital to spare. If you are someone who is passionate about helping people to live healthy, you can start your own online vitamin shop and make money from selling health products and supplements to people. Do you know that there are a lot of people online willing to pay to learn their dialect? Do you know that the educational trend is now moving towards online learning? The growth of online courses has exploded over the last few years. If you have a teaching background, you may want to supplement your current income or strike out completely on your own in this new industry. You will need to be able to create video lectures and/or some type of online class work. Not everyone has the time to create their meals, especially if they have specific dietary needs. A chef can become an essential part of keeping the day-to-day aspects of a family moving. Being flexible in this business will help you stay competitive. Don’t just think of dinners or working with only one family. You can offer a week’s worth of healthy lunches or quick breakfasts. You may also want to be on call for special family or holiday events. Specializing in a specific area such as gluten free, low calorie or vegetarian will also help you target people looking for solutions to more specific needs. Like to plan dream vacations, but can’t always go on them? Do the next best thing and plan them for someone else! A travel planner specializes in providing custom itineraries based on their client’s needs. Your goal will be to create the ultimate experience within the client’s budget. Research skills will be a necessity for this business idea, as you’ll need to look up local information such as restaurants, museums and other attractions. A new online business concept is providing tour-guide services to people traveling to your country or city. This is a very good business opportunity for people who live in places where people visit for vacations. There’s a growing demand for pet services around the world. If you have a passion for animals, and you feel comfortable being around pets, then you can offer to take care of other people’s pet while they are away. Services you can offer alongside pet sitting are pet grooming, doggy day care, dog walking and other pet-related services. The pet industry is booming, and as such, business opportunities in this industry are growing. Your love for pets can be applied to a variety of businesses such as pet grooming, homemade pet snacks, designing your own pet fashions, pet walking or even pet sitting. If you have talent with a needle and thread, you may want to put that talent to work. Your sewing skills can be the key to a number of business opportunities, from mending and sewing custom clothes to creating homespun projects and selling them online. A lot of things are all in the rage, and many people would rather buy items from Mobofree or OLX than go thrift shopping for themselves. Use this to your advantage by finding some great items at your local thrift shops, fixing it up at home and then listing it online. With the growth of sites like Facebook, Twitter and Pinterest, the need for someone to help businesses navigate these marketing avenues is high. If you love to use these types of platforms and you can help companies grow their own following, this may be for you. This is a great job you can do from home. Everyone needs a little help now and then, and a virtual assistant can often fit the bill. From handling travel reservations to answering emails, your job opportunities are limitless. Since you’ll be virtual, you won’t be stuck with having only one client. For tutoring, you will need to be able to communicate online with students through a program such as Skype and be skilled in the area in which you would like to provide tutoring. In today’s technology driven world, business owners are realizing the importance of having their businesses on the internet. In fact, running a web based business is a trend that has come to stay. So, if you have got the technical know-how and the skills, you can build a career as a web designer right out of your closet. Web design combines the technical know-how of creating a functioning website with the creative requirements of making that site look good and draw in visitors. With the tools available today, almost anyone can create a template-based website, but it takes that special something to make it successful. If you want to challenge yourself in a fairly competitive industry, this might just be the business for you. Content marketing is a big deal right now, and while many people are running successful websites, they may not be great at churning out compelling content to help promote their business. That’s where you come in. Helping companies write quality articles and blog posts can be a great way to make extra money, especially if your writing gets results. Online affiliate marketing does not require you to directly interact with customers or worry about finding a place for products in your home. You can start a successful affiliate marketing business by finding companies that offer products you are interested in and then you market them on the Internet. Some of the affiliate marketing companies on the internet include eBay, Amazon, Jumia, Konga, Clickbank, CJ, etc. If you have some artistic talent, you can start just about any business that reflects your abilities. Sell paintings online or create your own designs and sell them on merchandise. Art doesn’t necessarily mean drawing either. If you have a talent for jewelry, sewing or any artistic endeavour, there are many ways to turn that passion into profit. Simple to get started and incredibly self-fulfilling to work on, blogging is a go-to work at home idea for many moms. It allows you to focus on a topic that you enjoy most and work around your own schedule. 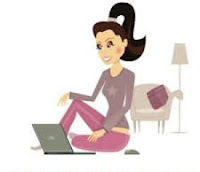 Blogging is a popular business for stay-at-home moms. Just look for a niche you are passionate about and start blogging about it. You would make good money from adverts if you can attract a lot of traffic. Now that many businesses use online accounting software, the need for a full-time bookkeeper to manage accounts has decreased. While this is bad news for full-time bookkeepers or accountants, this is good news for someone interested in becoming a bookkeeping freelancer. You can offer the services businesses need for a fraction of the price a full-time bookkeeper may charge. That's all the fun business ideas for housewives and moms I can think of for now! Anything I forgot? Please add below! Nice one Rosy... got to share this to someone I know!! Awesome ideas. I really find this helpful! I have seen business ideas for graduates, moms and housewives. So,, what about the non graduates? Or they don't have business ideas? Or they must all remain drivers or cleaners? I would be checking back to see something like that. Meanwhile, keep up the good job! T am currently working on that now!